I’ve battled migraines since my college days. Those college migraines were awful, especially as I struggled to learn my triggers and how to deal with them. But now that I’m a single Mom of 6, I can’t afford even an hour of downtime due to a migraine hitting. Several months ago, I went for a day trip adventure with my children, and a massive migraine hit mid-way through the day. I had to ditch our plans and drive the hour home. That drive was unbearable; several times I thought I might have to pull over to the side of the road and shut my eyes for a while. But, alone with my children, that didn’t feel safe, so I kept pushing on despite the splitting headache and nausea. I was completely unprepared for that migraine, having nearly every children’s medication we might need in my first aid pack and bandages galore, but not a single medication for an adult at all. Despite being a single Mom, I frequently adventure with my children. I’m pretty determined to enjoy the flexibility homeschooling and working from home affords us. After my migraine ruining our day, I knew I needed to be prepared for adult illnesses and mishaps, as much as children’s when we adventure. Now, I keep Excedrin® Migraine – which starts to relieve my migraine pain in just 30 minutes – in my purse at all times. 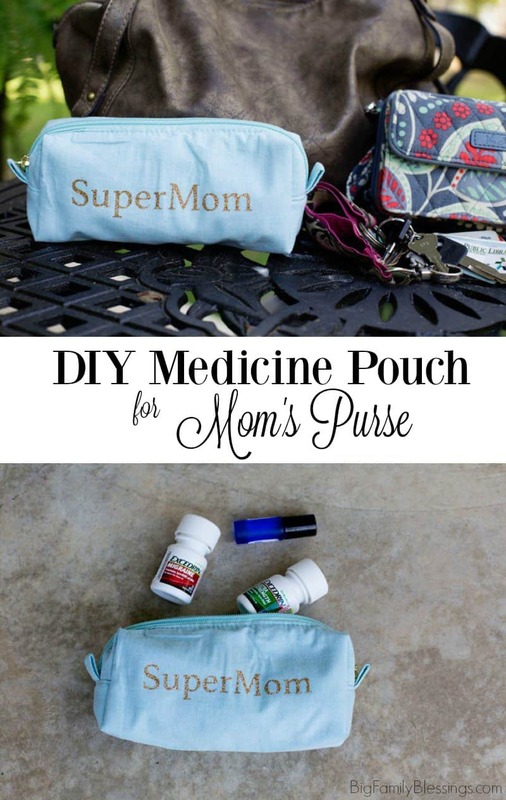 I made this fun DIY SuperMom Medicine Pouch for my purse. Now I’m always prepared for a migraine, or any other illness when I adventure with my children. 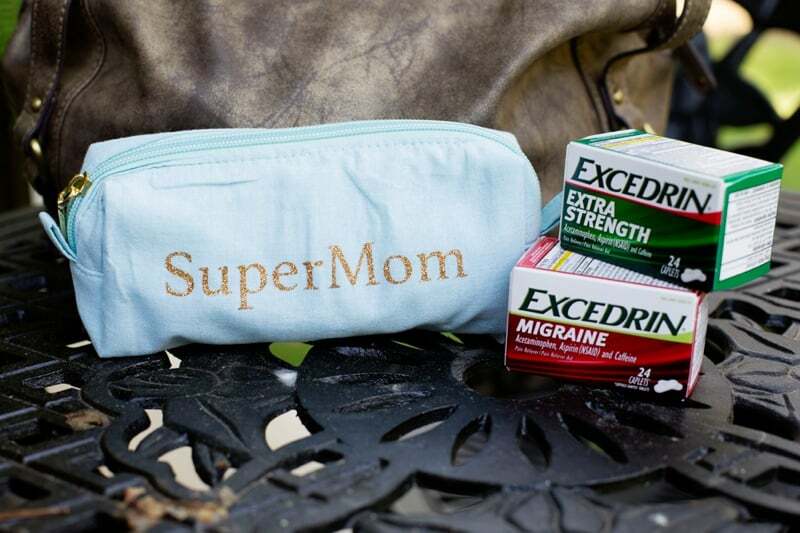 My SuperMom medicine pouch contains Excedrin® Migraine for those awful migraines, as well as Excedrin® Extra Strength for other aches and pains. 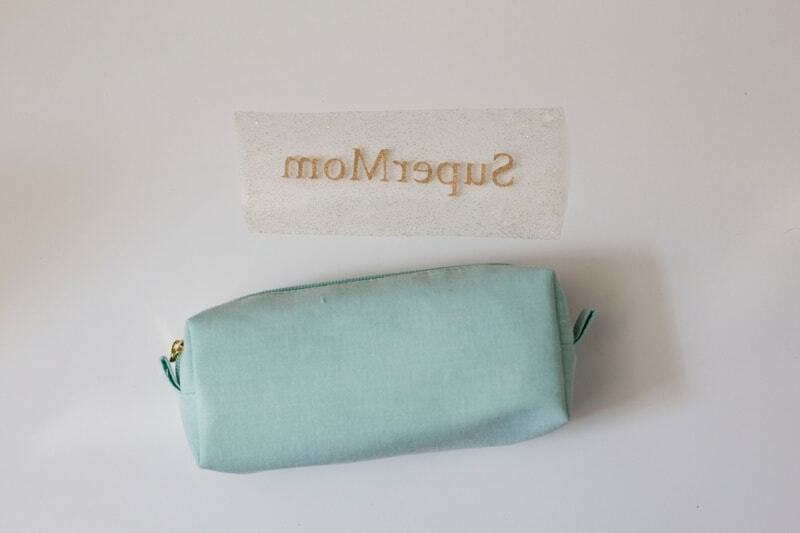 This DIY medicine pouch gives me piece of mind since having a separate pouch for adult dosage medications means I never worry about giving a child the wrong type of medication. 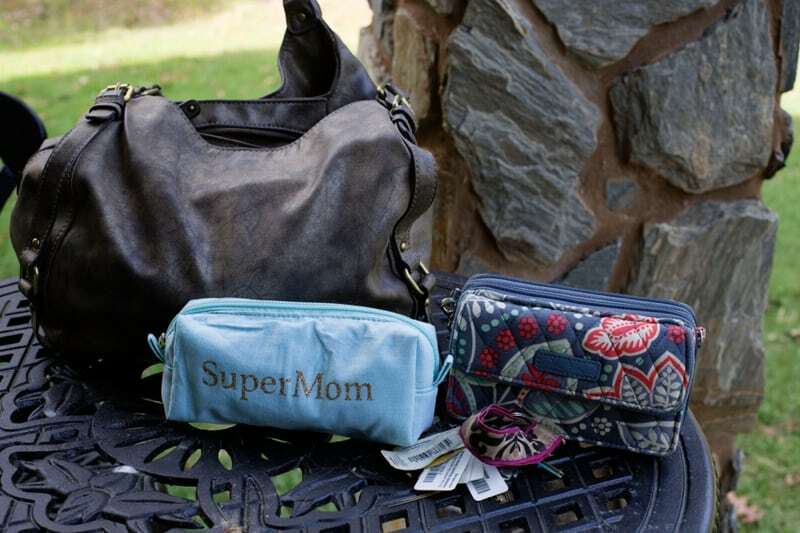 And, when I’m headed out without the kids, I can leave the children’s first aid kit at home, while still being prepared with adult medications. Choose a small cosmetic pouch that will fit in your purse, for holding Excedrin® Migraine and all the other medicines you might need in case of migraine or illness. 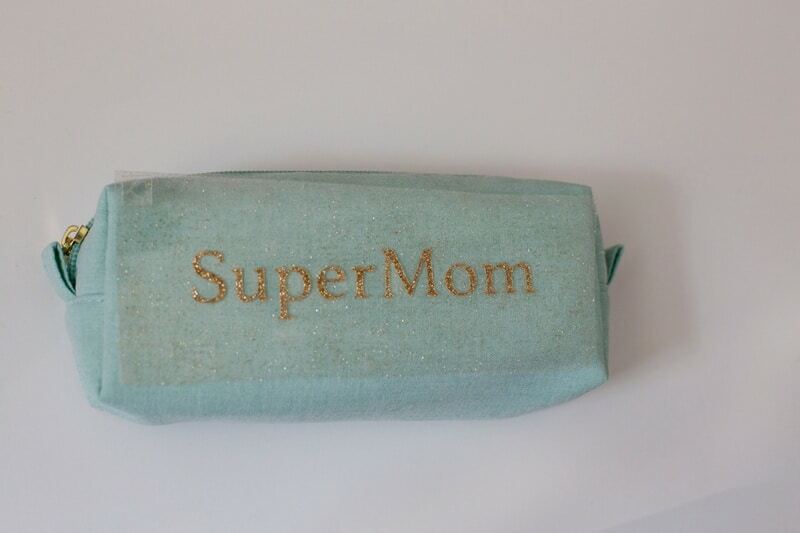 Measure the space on your blank cosmetic pouch where you will iron on “SuperMom”. 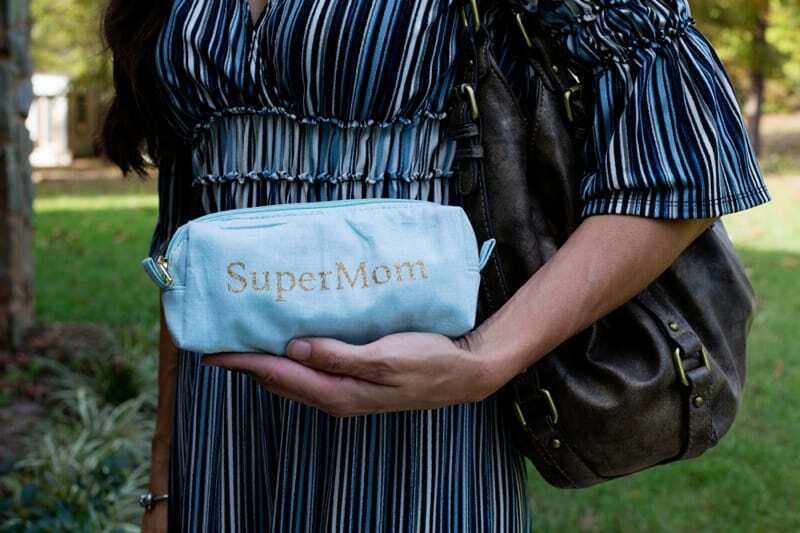 Using your Silhouette software, write ‘SuperMom’ using your favorite font, at a size that will fit your small cosmetic pouch. *Tip: Don’t forget to mirror the design horizontally. 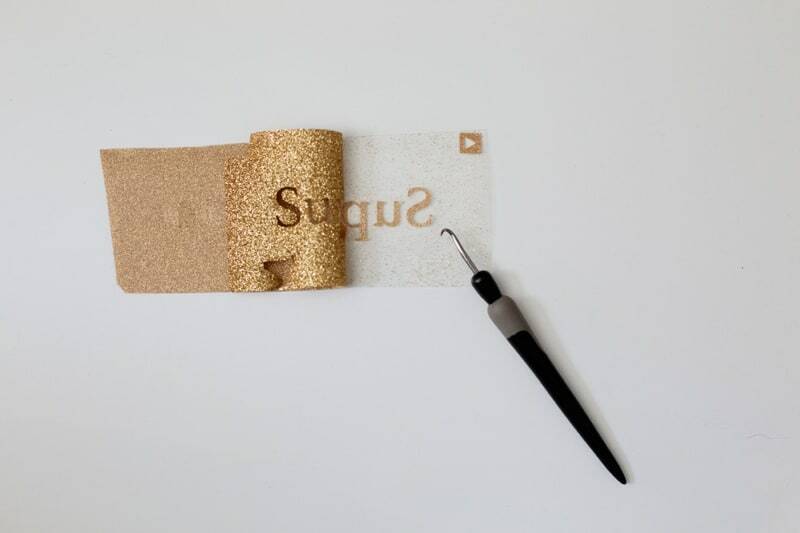 Load gold glitter heat transfer material into your Silhouette machine. Load the material with the shiny side down. Be sure to select the correct material, and no mat in the Silhouette menu, then send the design to be cut out. Weed the design, leaving “SuperMom” on the clear plastic sheet. 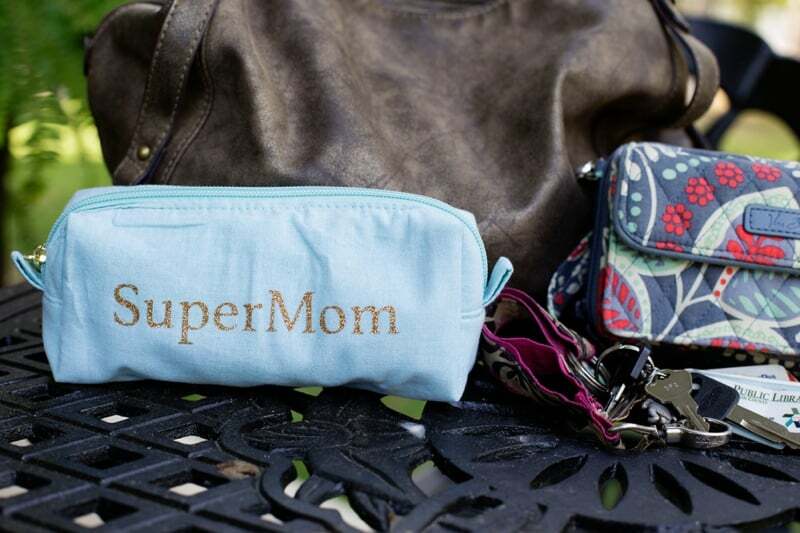 Lay the “SuperMom” design on the cosmetic pouch. 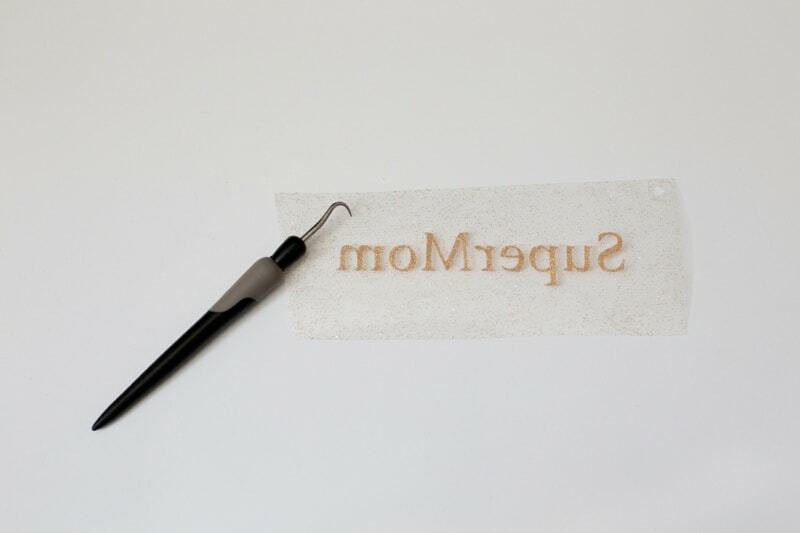 Cover the design with a thin cloth. 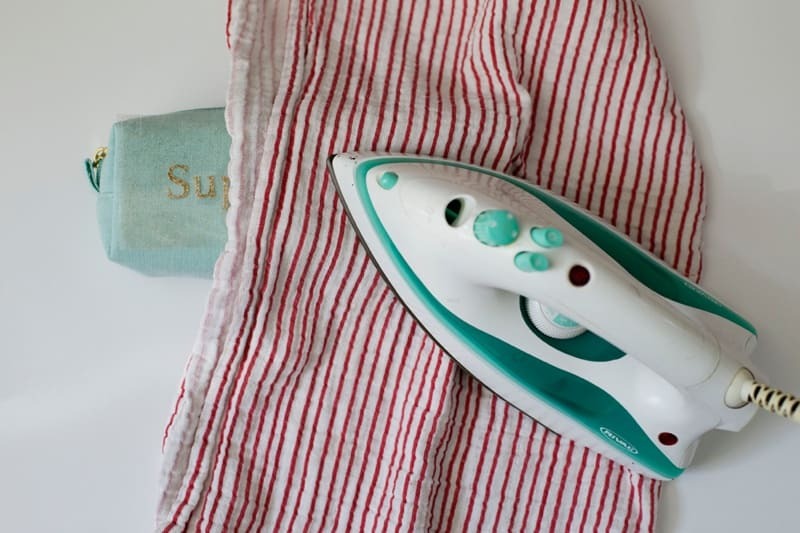 Iron the design using a hot cotton setting, pressing down for about 45 seconds. Slowly peel the clear plastic away from the design. 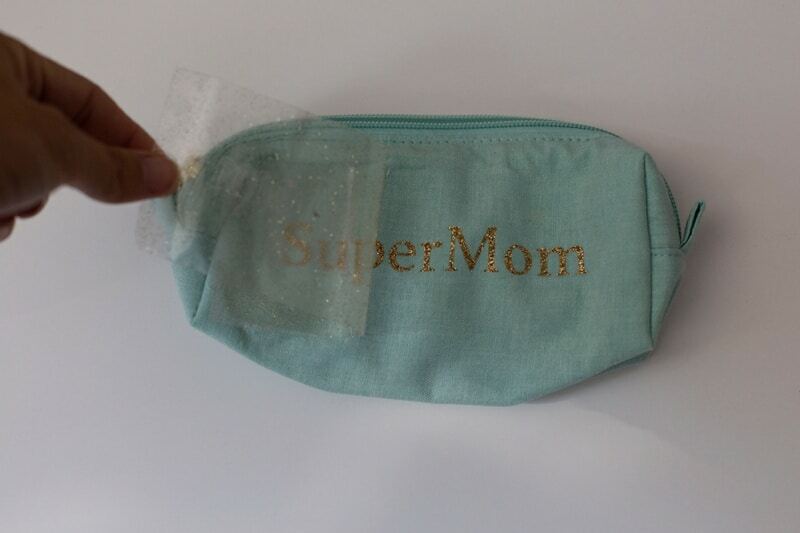 If the “SuperMom” design sticks to the plastic rather than the cosmetic pouch, heat it with the iron again for about 30 seconds before trying to peel the backing off again. 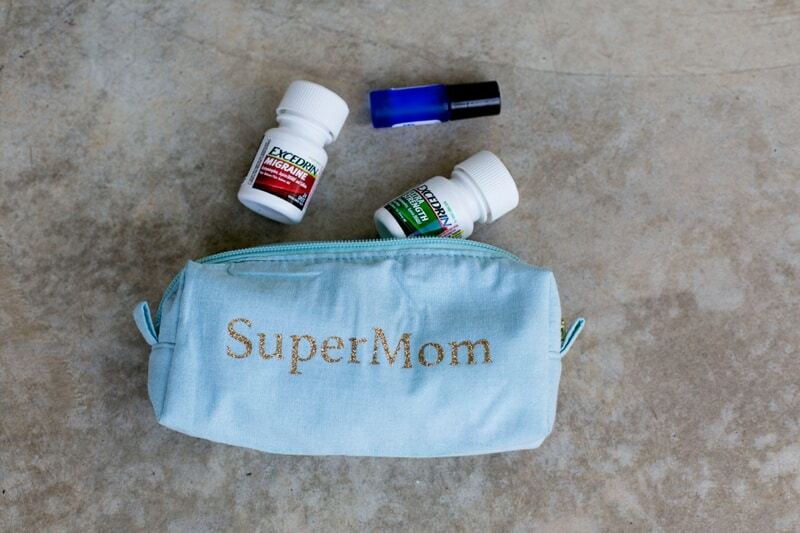 Load your SuperMom cosmetic pouch with Excedrin® Migraine that you might need while adventuring with your kids. Always use Excedrin® as directed. You can trust Excedrin® for fast relief from many different types of headaches that life throws your way. No more canceling a fun day when a migraine hits! Be sure to consult your doctor if you think you are suffering from migraines. Please use Excedrin® as directed. You can find Excedrin® at your local Walmart.